Setec returns on March 23 with Atrial Flutters (or Raise Yr Hand if Yr Afraid), the follow-up to his acclaimed debut, Brittle as Bones. The album is now available to pre-order digitally and extremely limited edition lathe-cut vinyl. Head over to the Feral bandcamp store now to grab your copy and receive the 2 lead singles, ‘Cotton Bones’ and ‘Loose Leaves’, plus additional track ‘Tying Tourniquets’. We can’t wait to share this album with you all, it is a truly special achievement from a bold and unique artist. This entry was posted in Audio, News and tagged atrial flutters, setec on March 10, 2018 by feralmedia2. The debut vinyl album from Feral Media’s The Artificial Limb is now available in the Feral Media Bandcamp store. Cover art has been created by Melbourne artists Sean Hogan & Jessie Stanley. This entry was posted in News, Releases on January 23, 2018 by Danny. Ahead of their debut Feral Media EP release (Karakara) next week, The Casual Sexists have revealed this cracking music video, which the band hand-built with visual collaborator Tom Rizzuto. Already the lead title track from the EP, Karakara, has enjoyed airplay far and wide, including from these wise and forward thinking broadcasters 2SER (Sydney), WFMU (New York City) and KEXP (Seattle)! Thanks. This entry was posted in News, Video on August 4, 2017 by Danny. Head to the Feral Media Bandcamp store to download the latest installment in our annual remix compilation series. Featuring contributions from Lovely Head, Rebel Yell, Bilby, Tangents, Aphir, Pendant, Reuben Ingall, Hence Therefore and Arthur Wimble. This is another fine instalment in this exciting and creative project. This entry was posted in News, Releases and tagged aphir, arthur wimble, bilby, hence therefore, lovely head, pendant, rebel yell, reuben ingall, strain of origin, tangents on June 27, 2017 by Danny. Setec is back with his brand new single, ‘Cotton Bones’, which has just premiered over on whothehell.net here. The single is lifted from his forthcoming album, the follow-up to his gorgeous 2014 masterwork, Brittle As Bones. 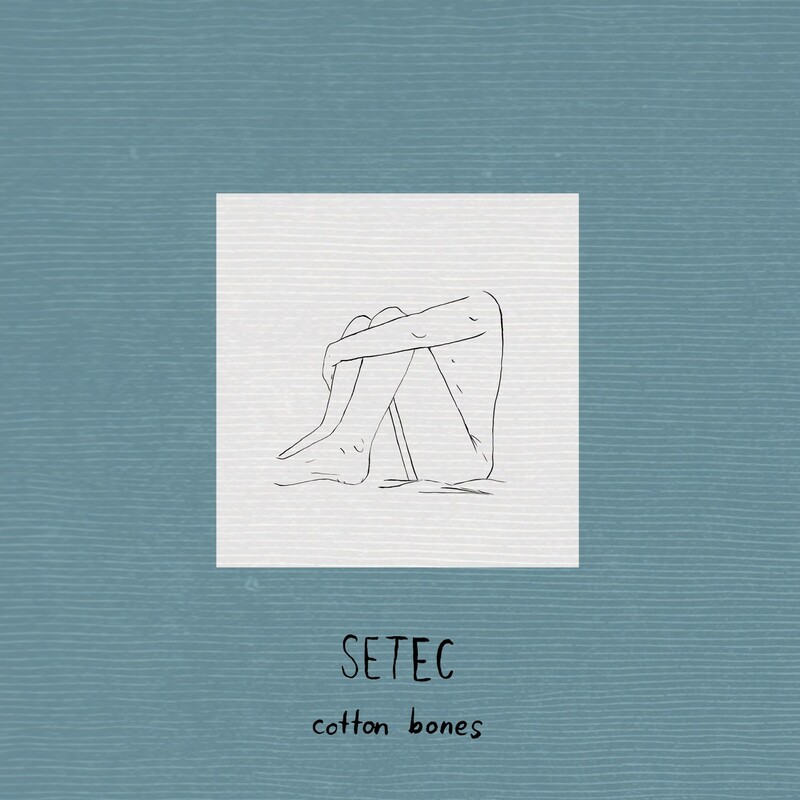 ‘Cotton Bones’ finds Setec further refining his distinct sound with gentle piano chords and looped percussion providing the foundations for a typically joyous and catchy refrain. This little taste is a sign of wonderful things to come from this very special artist. Setec will be launching the single at the Gaelic club in Sydney on Saturday, May 6th. The show is hosted by our friends at Skydreams with supports from Spirit Faces, Imperial Broads, and Okin Osan. Full event details here. A 5″ vinyl copy of the single will be available at the launch, but these are very limited so you’ll have to get in quick! Stay tuned for more Setec news, but for now lose yourself in the new single. This entry was posted in Audio, Events, News and tagged cotton bones, setec, skydreams, whothehell.net on April 28, 2017 by feralmedia2. Our latest signing is The Artificial Limb and ahead of the EP ‘Inner Circle’ we’ve just released the single ‘The Circle’. The Artificial Limb is Marc Eiden, electronic music producer and filmmaker from Melbourne, Australia. Listen on Spotify. One of the founding members of the enduring Elefant Traks record label, Artificial Limb was born out of Sydney’s underground electro and hip hop movement in the late 1990s. Inspired by the raw energy and fearlessness of The Beastie Boys 1989-1996 catalog (Paul’s Boutique, Check Your Head…), Artificial Limb’s early DIY electro hiphop was showcased as part of the SBS TV network’s Whatever Sessions in 2001. “As producer of The Whatever Sessions, I worked with Marc to showcase his sample-based electro-hiphop. Back then, Marc’s aesthetic was lo-fi and eccentric, often quite cheeky. The grooves were proudly hand-made. This latest iteration retains those clever and engaging DIY qualities but adds full frequency dance floor energy reminiscent of Leftfield or Cornelius. I’m thrilled Marc asked me to mix this record and honoured to be releasing it,” Feral Media’s Danny Jumpertz said. Jumpertz mixed the four track EP ‘Inner Circle’ in his Brooklyn, NYC studio in late 2016. The Artificial Limb performs live with drummer The Right Reverend AL, against a backdrop of modernistic, op-art visuals by acclaimed Melbourne designer and artist Sean Hogan (Trampoline). The Inner Circle will be launched on Saturday, April 8 in Melbourne at the new Footscray venue & bar, The Night Heron. The Artificial Limb Facebook page has the latest info on gigs. This entry was posted in News on March 20, 2017 by Danny. Just released is the debut full-length album for Clairaudience. Based in Brooklyn but hailing from Australia, Europe and Rhode Island, this four-piece (Caroline Jumpertz, Danny Jumpertz, Franzi Szymkowiak and Heidi Patalano), has been recording and gigging in NYC for over three years. Recorded with engineer Abe Seiferth (Yeasayer, Eleanor Friedberger) between 2014 and 2016 at Transmitter Park Studios in Greenpoint, Brooklyn, the album is a follow up to 2015’s acclaimed cassette/download EP Sun Damage. Clairaudience formed in Sydney in 2006. Caroline and Danny emigrated to the USA in 2010 launching a new lineup with the additions of New York based multi-instrumentalists Heidi (guitar, bass, vocals) and Franzi (Moog, guitar, bass, vocals). Fellow Australian Kerrii Cavanagh stepped in on bass guitar, appearing on the Sun Damage EP, but relocating back to Oz soon after, leaving the band as a 4 piece. The release was delayed due to the unexpected collapse of Feral Media’s distributor Fuse Music and is the first instalment in our relationship with UK-based music company State 51. The album is available on CD and download via our Bandcamp store, and is streaming on Spotify, Napster, Apple Music, Soundcloud and many other corners of the internet. This entry was posted in News, Releases, Uncategorized on November 21, 2016 by Danny.